Today at 8:30 a.m. supporters of marriage equality will gather outside the Supreme Court on the first day of hearings in Washington, D.C. The Supreme Court will hear oral arguments on two historic cases for marriage equality. Hollingsworth v. Perry, the challenge to California’s Proposition 8, will be argued today, March 26. 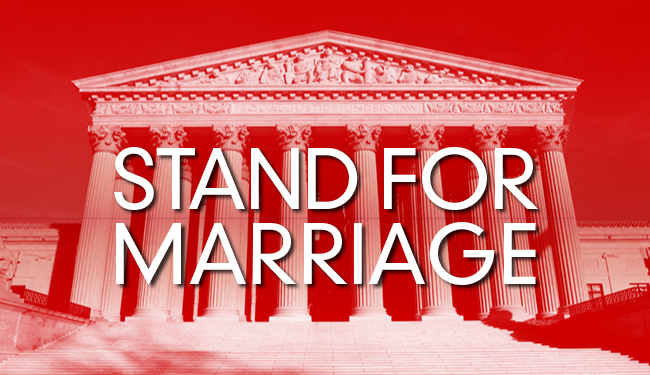 The case challenging the Defense of Marriage Act (DOMA), Windsor v. United States, is scheduled for tomorrow, March 27. As our design studio is just two blocks from the Supreme Court, we're excited to see the support first hand!